We’ve all heard about the Horseshoe Bay ferry terminal being evaluated and the city of West Vancouver going to court over it, but what’s really going on? How does property tax work? The city of West Vancouver charges property tax on the land where the Horseshoe Bay terminal is, just like property taxes charged on homes. 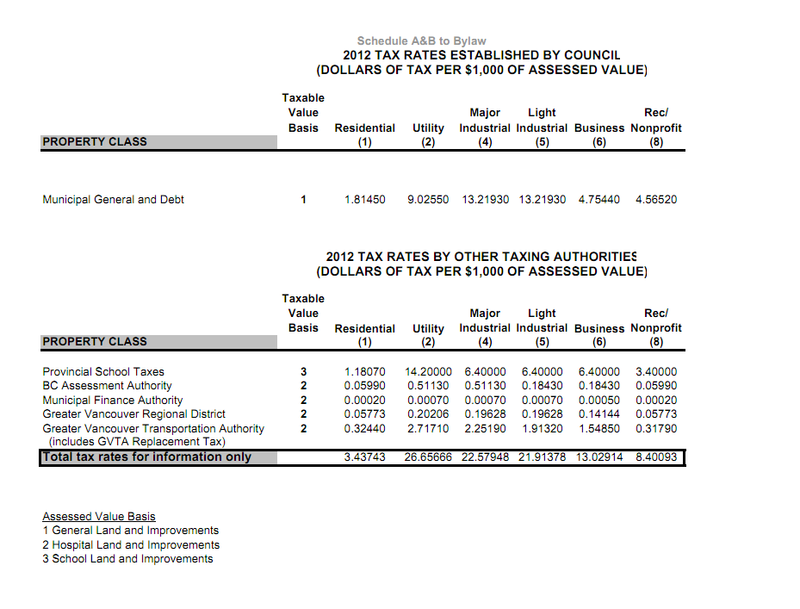 The city takes the land’s value and uses what’s called a mill rate, or how much you pay per $1000 of value your land has. As far as I know, BC Ferries as a private corporation were charged $4.75440 per $1000 of value, meaning that when the land was worth $47.8M, a bill for $227,260.32 showed up at BC Ferries’ door. Many residents have appealed their land values and in those cases it’s split pretty evenly in terms of judgments, with most either being lowered in value or judged that the initial value was true. In about 3 per cent of cases, the value is actually increased. BC Ferries appealed their property tax, stating that since the land is required to be a ferry terminal it’s valueless. The Appeal board agreed, and made two parcels of land worth $10 each. That means that there’s a ferry terminal, in West Vancouver, home of Canada’s most expensive homes, on several acres of prime waterfront land deemed to be worth $20. The board ruled that the land won’t make any money as a ferry terminal, and therefore isn’t worth anything. Delta currently receives around $680,000 a year in property tax from the Tsawwasssen terminal. Karl Preuss, municipal finance director for Delta believes an appeal on that terminal’s land’s value will occur next year. BC Ferries confirmed today that they will be appealing Prince Rupert’s land value, where almost $50,000 in property tax is paid there annually.